Sitting on that beach in Santa Rosa National Park that late afternoon in May 2011, I tried my best to soak in the significance of the moment. Next to me sat my friend, mentor, and boss at Nectandra Institute, Alvaro Ugalde. Forty years prior, accompanied by Daniel Oduber, president of the legislative assembly at the time and later President of Costa Rica, along with other dignitaries, Alvaro had inaugurated Santa Rosa as the country’s first national park. I was an inexperienced American ex-pat from Los Angeles, California, in 2007 when I started to work for Nectandra Institute and Alvaro. Thanks to life’s twists and turns, I somehow ended up working alongside one of the founding fathers of Costa Rica’s system of national parks and protected areas. 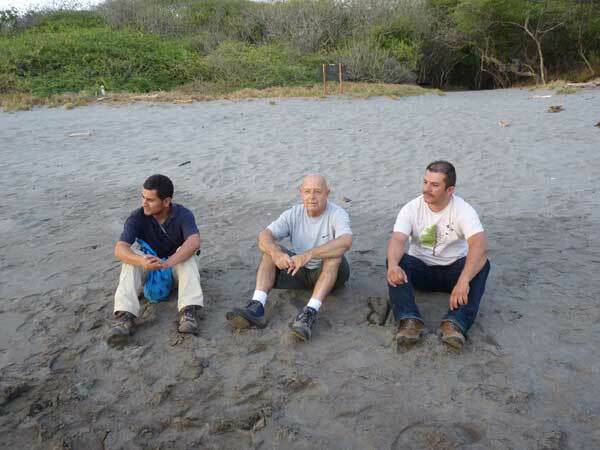 Had it not been for all that Alvaro did to help Costa Rica become one of the world’s best examples of a country that protects nature, there’d likely be no Nectandra Institute to speak of. The entire country, in fact, would be a very different place. Hydroelectricity is Costa Rica’s principal energy supply, generated by the power of flowing rivers whose headwaters lie within these nationally protected areas. Potable water is available to almost 100% of the population in large part due to groundwater recharge zones located inside protected boundaries. Eco-tourism is one of the country’s strongest economic engines. Costa Rica is what it is largely because 25% of its land area has been given some form of nationally protected status, and Alvaro was one of the principal leaders that made this happen. Despite all his accomplishments, Alvaro was not one to rest on his laurels. Just a few days before he passed away, I phoned and had my second-to-last interaction with him. “Hello Luis,” he answered in a hushed tone. “Is this a good time?” I asked. “Well, at this moment I’m inside the President’s office getting ready for a very important meeting,” he replied. I learned afterwards that he had met that day with the President of Costa Rica, the Minister of Energy and Environment, and others to defend under-staffed Corcovado National Park, located on Costa Rica’s Osa Peninsula and Alvaro’s pick for the most beautiful place in the world. A few days later, on Friday, February 13th 2015, I spoke with Alvaro one last time. Once again, I called him on the phone, only this time he answered with laughter in his voice. In the background I could hear loud music and a festive atmosphere. “Are you having a party?” I asked. “Yes!” he happily exclaimed. “I’m at the senior center and we’re having a Valentine’s Day fiesta!” For several weeks, Alvaro had been volunteering at the center and the experience had brought him much joy and satisfaction. We had a quick conversation, thanked and said goodbye to each other, and Alvaro returned to dance and celebrate. These were my last two exchanges with Alvaro…one serious, the other cheerful, both equally significant. Two moments that for me captured perfectly Alvaro’s amazing ability to inspire and move those around him, be they presidents or everyday citizens.